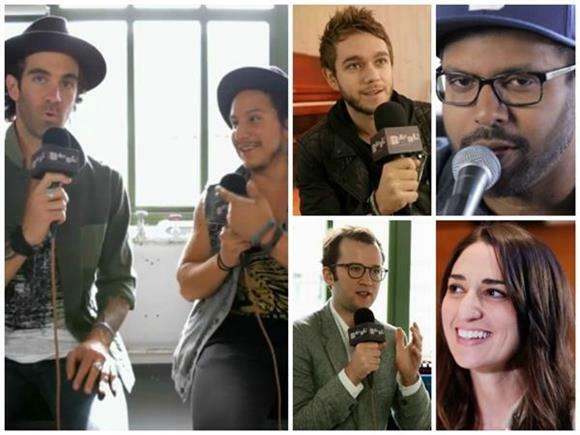 We interviewed a ton of amazing artists this year from Zedd to Years & Years to the Maccabees and many, many more. You can find all of those interviews here on the site (along with plenty of live sessions that we filmed this year), but at the end of all of those interviewed, we asked the artists a series of lightning round questions that we've turned into supercuts of the year and first up is the favorite singles of the artists we've had the chance to talk to. And it turns out your favorite musicians love The Weeknd and Jack Ü as much as you do. Check the video out below.